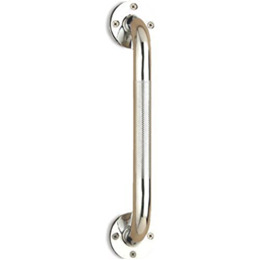 The Wall Grab Bars are chrome with knurled handles. 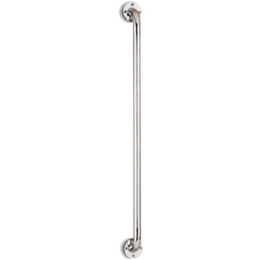 They can be used horizontally or vertically and come complete with mounting hardware. The weight capacity is 250 lb. They have a 1.5" wall stand off, 2.5" fixed flange, rubber gaskets, and 1" diameter of tubing. Available in Chrome and Ivory.